I have admired how the Mexican culture honors their departed loved ones, while at the same time having a colorful festive holiday. Adults can remember those who have passed with respect, and the young ones can revel in the bright colors and fire works. What a wonderful way to involve everyone and avoid the chance of your celebration becoming somber!!! My first exposure to this holiday was in the movie, Frida, as she sits alongside the grave of her mother with all sorts of brightly colored "Day of the Dead" figures to decorate the grave. 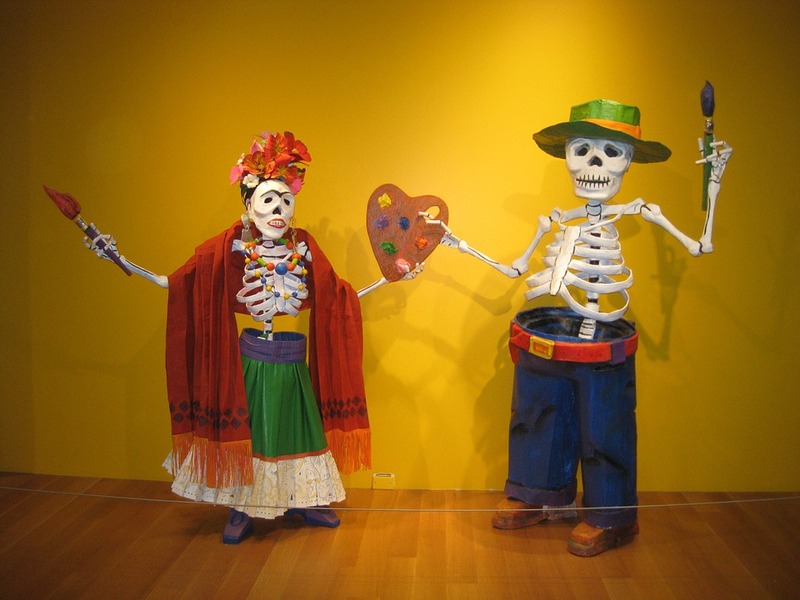 Skeletons and skulls later appear in some of her paintings, as she reconciles the pain in her life with the folk art that she adores. This collection will be growing even after Halloween passes. 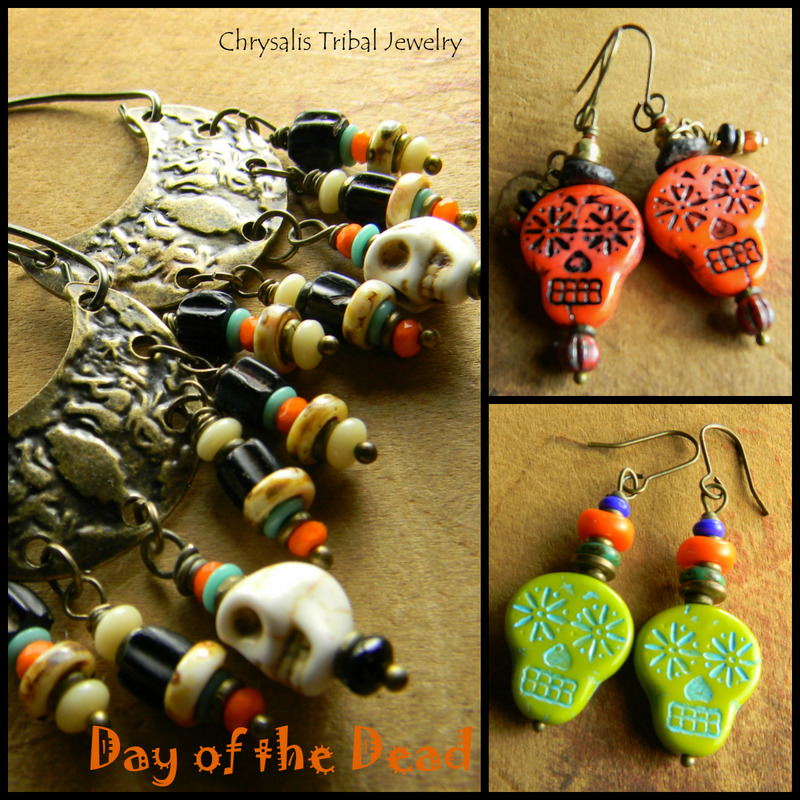 I would like to add some of the carved bone hand earrings that I haven't had available for awhile. The collection will be lighthearted and festive as the holiday for which it is named.